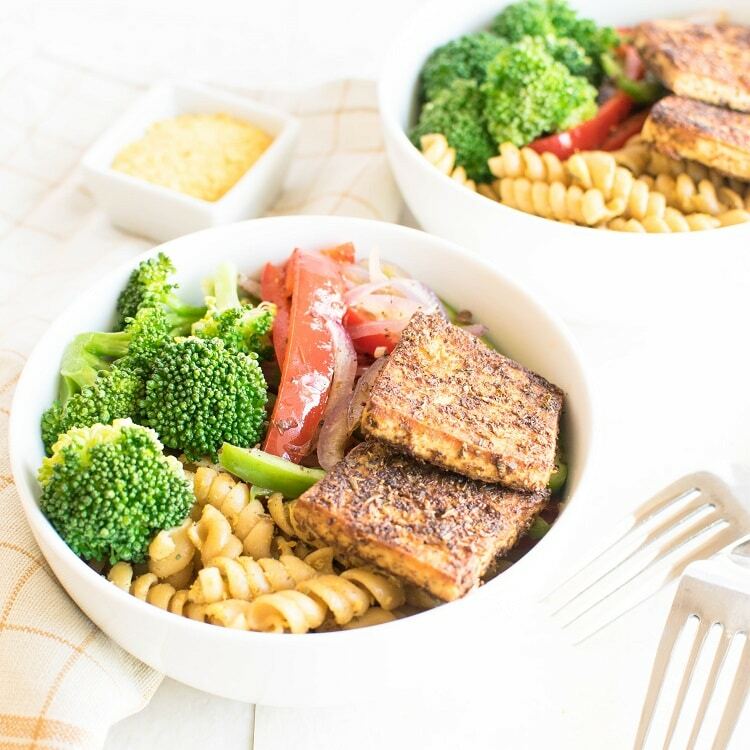 This Cajun Tofu Pasta Vegan Bowl is easy to fix, family friendly and easy to devour! Well, this recipe is definitely a shout out to all the pasta lovers. It is loaded with fiber rich veggies, good carbohydrates in the form of whole grain pasta and protein rich tofu. What else can I ask for in a bowl? With my busy and messed up schedule…..in fact no schedule at all I love the idea of nutrition rich satisfying bowls. I usually, keep some sauteed veggies in the fridge. Most of the time boiled pasta is always ready to be consumed in my refrigerator. The only thing I had to do is to simply marinate and bake or roast tofu. Hence, this Cajun Tofu Pasta Vegan Bowl!!!!! 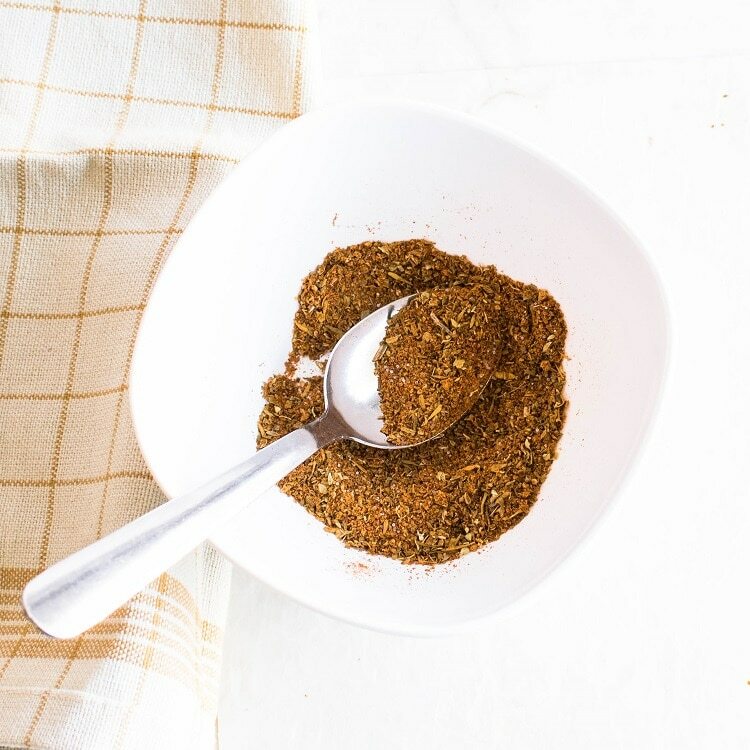 I totally love the particular flavor of Cajun spice mix. It somehow makes the bland tofu flavorful. It also reminds me of some spices that my grandma used to make. As of now, I faintly remember the aroma of those spice blend. Oh! I wish I could learn that recipe from her. I guess I was too small to even think that someday I will cook or even blog. Phew! Anyway, coming back to this recipe. I simply love to marinate my tofu in Cajun spice mix. It’s a complete spice that can add taste and flavor to anything as bland as tofu. I always prefer whole grain pasta so I can happily satisfy my pasta craving without too much guilt. In this recipe I just tossed it in the same Cajun spice. I made this entire recipe with as little as 1 tbsp. oil which is again optional. You may even use a good quality cooking spray to saute the veggies. Broccoli is my favorite in any form. I am so crazy for it that I sometimes can munch on it just raw as is. Therefore, I decided to steam the broccoli florets and lightly season them with salt and pepper. This just uplifted the taste of the entire recipe. I am sure these ingredients are easily found in any kitchen. However, don’t get overwhelmed by the list of ingredients. I have just tried to provide a detailed list. 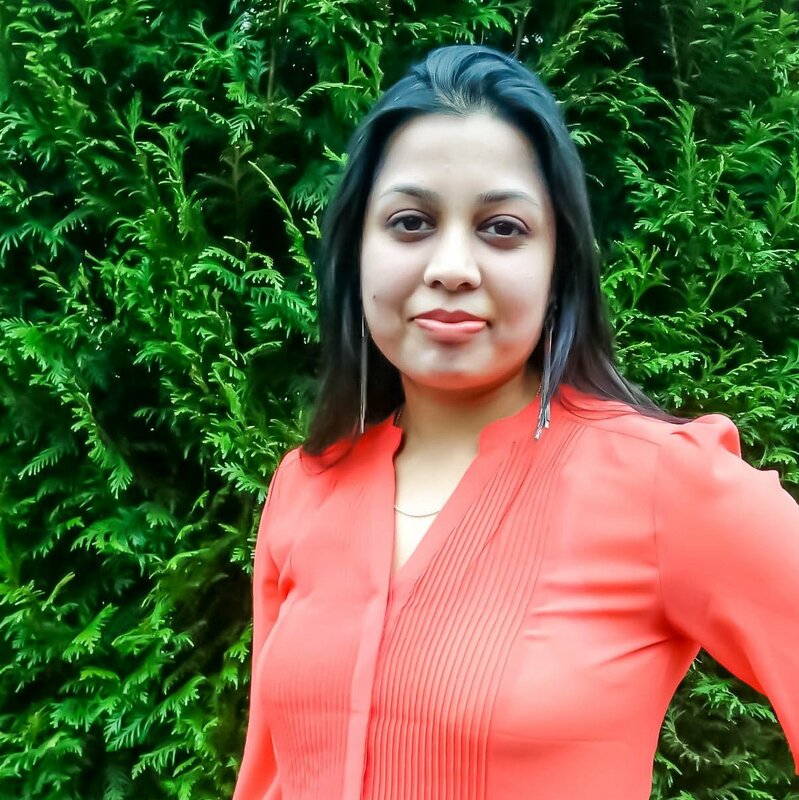 I can assure you that the steps are super simple and easy. 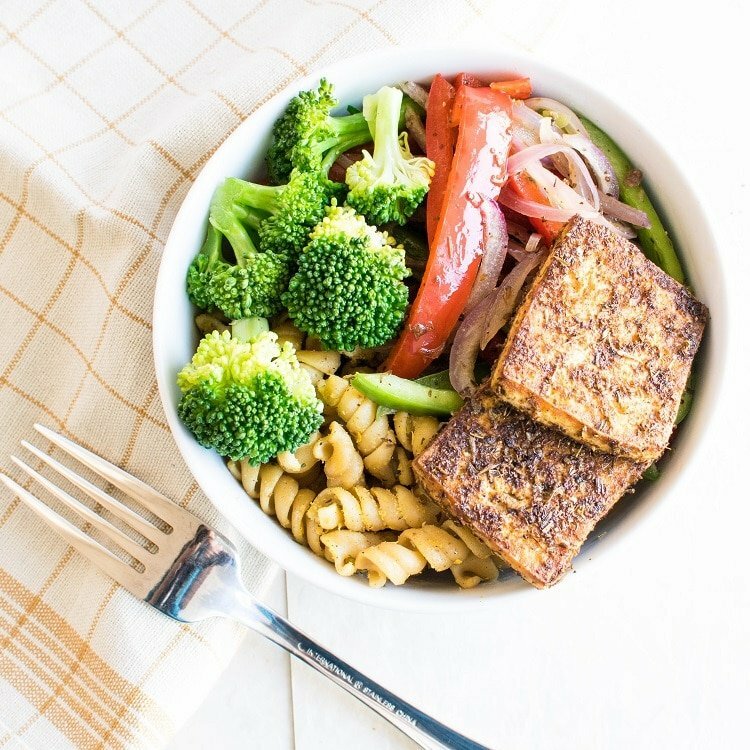 So, let’s just grab the fork and plan to dig into this Cajun Tofu Pasta Vegan Bowl right away!!!! In a mixing bowl combine all the spices for tofu and mix with a spoon. Heat a nonstick pan and grease it with a cooking spray. 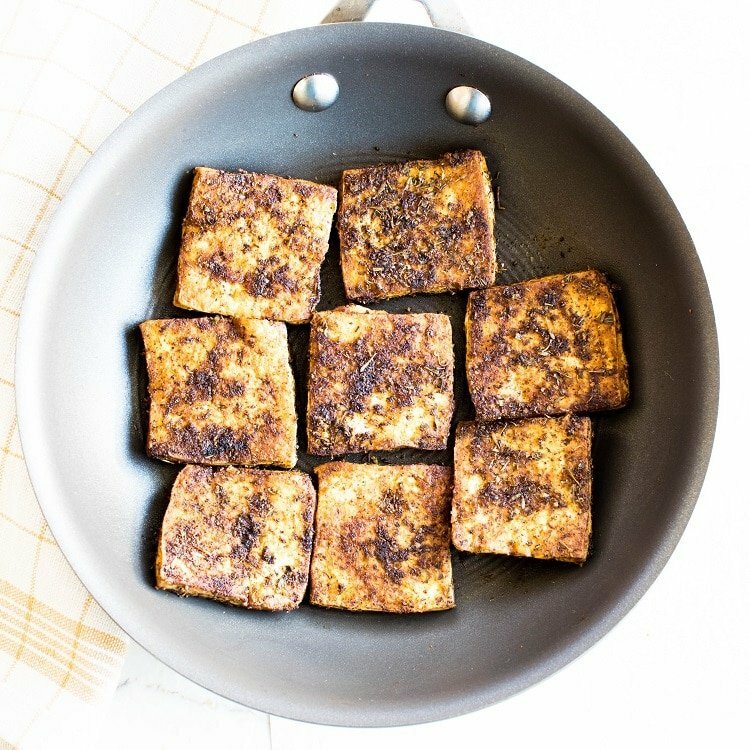 Rub each piece of tofu with the spice mixes well and place them on the greased pan. Lightly grease with the cooking spray again on the tofu pieces. Cover and cook until lightly crispy. Then, with the help of tongs flip the tofu pieces to the other side and cook again until slightly crispy. Take the tofu out of the pan and keep them aside. In the same pan combine all the ingredients of pasta (no oil needed). Toss them for 1-2 minutes and turn off the flame. In another nonstick pan heat 1 tbsp olive oil. Now, add garlic and oregano to the oil. Toss in all the veggies (except) steamed broccoli. Season the veggies with salt and black pepper and cook until the onions are soft and translucent. (Do not overcook and let the bell pepper be crunchy). Now, take a bowl and spoon pasta on one side and fill the second half of the bowl with the sauteed veggies. Then place steamed broccoli on one side of the veggies and Cajun tofu on the other side of the bowl on top of pasta. This recipe tastes best when consumed immediately. If you plan to make ahead then make sure to warm it very well. However if you want to refrigerate you may mix everything and put in the fridge for 2-3 days. Steam broccoli florets very nicely season it with very little salt and pepper. I mentioned the salt as optional for pasta. If you decide on seasoning pasta with salt make sure to lightly sprinkle it. Looks like a great recipe for my son to try! He is vegetarian and just said the other day needed to figure out how to get the tofu more tasteful and this spicy mix will do the trick! oh great! do let me know how it turned out for you. I love cajun spice too, this looks fabulous! Thank you Stine. It indeed is and also i make it regularly for my family. This looks so delicious. I pinned it to try sometime this week. Thank you Sara. Hope you enjoy it. This looks delicious! I think I will try it over rice instead of over pasta. Rice should also taste good. However, I have personally not tried it. This sounds terrific! And your photos make it looks so delicious! Yum! This looks amazing! I will have to give it a try this week! This looks so yummy and easy! Anything involving pasta is a must try. Plus I have tofu at home. I’m gonna try making this! This looks absolutely delicious!! 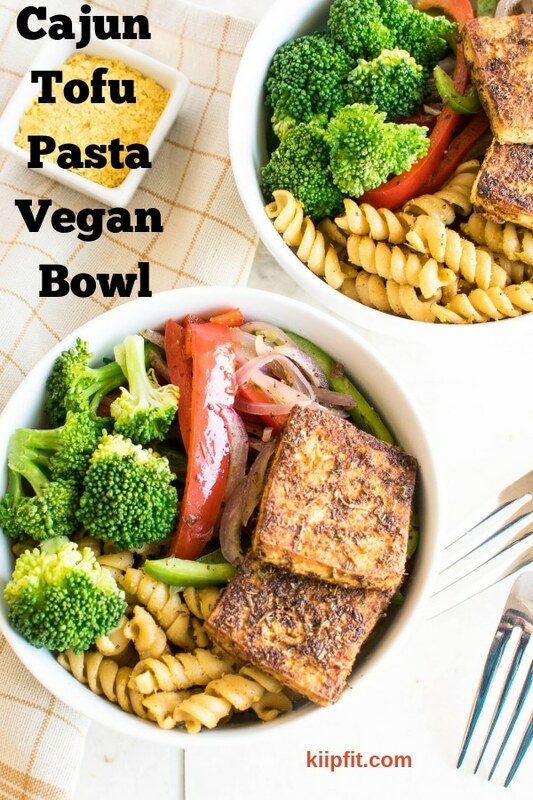 I love tofu but have never had it with cajun spice mix – it looks like the perfect kick for this pasta bowl. I can’t wait to give this a try!